A little bit about us. Mile High Lending, LLC is a mortgage broker. That means that we originate mortgage loans, process them, and broker them to wholesale mortgage lenders. We do not service the loans that we originate. What is the benefit of working with a mortgage broker versus working with a bank? Mile High Lending, LLC works with several different lenders. Each of our lenders offer a wide range of mortgage programs and each has their own program guidelines. Not every borrower fits into the same box. Because of that, we want to offer as many options as possible. In addition, each of those lenders are very competitive with their rates and fees. This allows us to be extremely competitive. Mile High lending, LLC does not charge any fees. We have no origination fees, processing fees, or application fees. When working with a broker you have choices. You can choose the rate and the closing costs from a range of scenarios. As a broker we are also able to offer loans with no out of pocket closing costs if that is your preference. Some may think that brokers don’t have control over the files that we broker out. This isn’t the case. In fact, we process all of our loans in house, and have direct access to our underwriters and account executives just by picking up the phone. Since we originate and process your mortgage loan, we are your direct contact every step of the way from start to finish. Meet the Mile High Lending, LLC Team! The Mile High Lending, LLC team is here to serve you. Please feel free to contact us anytime for a new mortgage loan, questions or advice. We look forward to meeting and working with you in the future! Dana Rae Newman – NMLS# 175994. 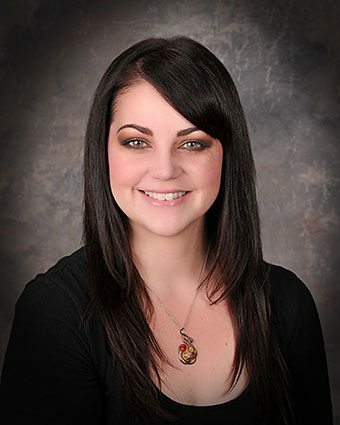 My name is Dana Rae Newman and I am the broker/owner of Mile High Lending, LLC. I am a Loan Specialist and Loan Processor and have been in the mortgage industry for 13 years. I have been a local mortgage broker since I began. Helping new home owners and current home owners obtain the best mortgage program at lowest possible costs with the lowest interest rate is what I live to do. I am an Arizona native. I was born in the very small town of Eden, AZ. Then we soon moved to the very small town of Tonopah, AZ. We relocated to the small town of Parker, AZ located along the Colorado River in my teens. When it came time for college, I chose Prescott, AZ as my new home and Yavapai as my college. I began working for Mile High as the front desk and processing assistant my third day in Prescott. I became a full time processor that year and a loan specialist 2 years after that. Having been a loan processor for the past 18 years, I am able to navigate the loan process and any obstacles with ease. In fact, all loans originated at Mile High Lending, LLC are processed by yours truly. I have been married to my husband Clifton for almost 11 years and we share our home in Prescott Valley with our 2 dogs and cat. Our dogs are Gambit the Aussie mix and Bowie our Chihuahua mix who accompany us on hikes most every weekend and our awesome cat Link. We like to hike the local trails in the quad cities. We also love to go camping and riding our quads as much as we can. We are both avid readers and rock collectors. When you visit my office you can check out my large frog collection. I am the Aunt to 2 nieces and 3 nephews. I love spending time with my family out camping or cooking for everyone at my home.